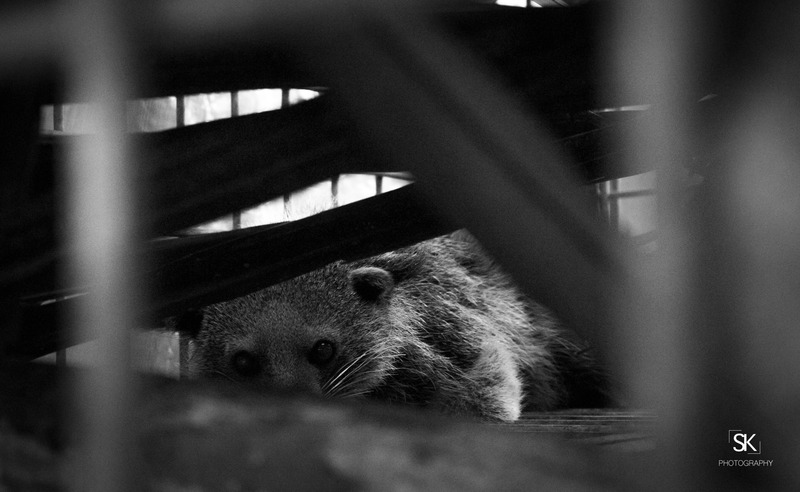 Bearcat (Arctictis Binturong) – Vulnerable. Habitat loss and degradation are major threats to the Binturong (Schreiber et al. 1989) as is fragmentation, particularly in those parts of the range where hunting is heavy. Throughout South-east Asia, Binturong is hunted for its meat, for traditional medicines and as pets (Corlett 2007, Roberton 2007, Datta et al. 2008, Shepherd 2008, Shepherd and Shepherd 2010, Naniwadekar et al. 2013). Recent camera-trapping evidence across the species’s range has made clear that the Binturong descends to the ground more frequently than had previously been thought; therefore, the threat of snaring to this species is likely to be more serious than had been assumed. (IUCN Red List).